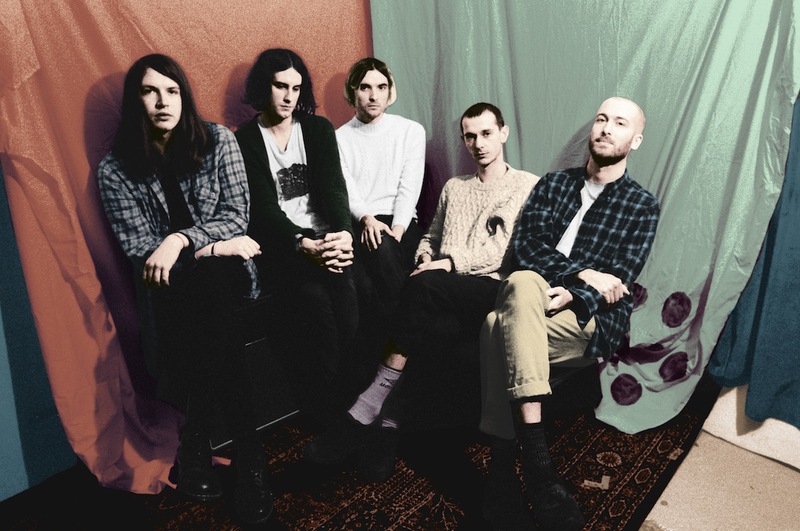 Ulrika Spacek's curious evolution takes another step forward on new album 'Modern English Decoration'. Making full use of their expansive five musician line up, the band inject an artful air of the unexpected into the psychedelic format. Sidestepping expectations in the process, Ulrika Spacek toasted the release with a flurry of inspired live shows. Set to hit the road once more in Autumn, the group will play a series of headline dates before supporting Ride. Down And Out In Paris & London by Orwell. It was the first book I read after moving to London. It's the first full length written by Orwell, a memoir about his time living in both cities in poverty. I found it very poignant and could relate to his descriptions of working in kitchens/hospitality. I can't wait to read it again a few years down the line. I'm really interested in titles, guess it comes from a similar place to titling albums or songs. I would also say that the reputation of certain books draws me to them. Just finished The Outsider by Camus. It had been recommended to me by Ben in the band. The first half I was thinking that it was an overrated book then the last third really showed itself why it's so highly regarded. I will definitely read more of him. It was a book called Dig. I found it in my school library and every page just said Dig next to various illustrations of JCB Diggers, I remember being disappointed but finished it quick at least. To be honest I wish I read more as I do think it opens doors for songwriting, especially lyrics. As my girlfriend lives in Stockholm I fly quite regularly, and for me this is the time I read, it's probably not a coincidence that this is also a time when I often end up writing quite a lot of lyrics. I would say usually it's more of an indirect influence but it definitely allows you to see a canvas of words, this can be very effective in sparking things lyrically. That said, the final lyric of our second record is based on the very last line of Hemingway's The Sun Also Rises. Of course, I think relating to the protagonist is one of the main reasons why people feel that there is something of them inside that book. I really liked Winston in 1984. That said, it is possible to enjoy a book without personally identifying with the main character, for instance for most of The Outsider I didn't particularly feel anything for Meursault, that perceived coldness and nonchalance was captivating however. Have you ever started a book you simply could not finish? Plenty, a friend of mine lives by the adage that if you are not into it after 100 pages put it down. No, but I definitely listen to friends recommendations. Word of mouth is a beautiful thing. I haven't but I will. Reading a book locks it with a memory of a certain time. I am looking forward to using books in the future to unlock some sort of nostalgia. I think I am going to reread the S.C.U.M. manifesto again very soon, I read it first time around in a bath, might do that again actually. Do you read one book at a time, or more than one? Always one at a time, that can be annoying though. I want to read Infinite Jest but fore well know that will be to the detriment of reading anything else for a long time.